Below are ten signs of cheating to watch out for such as: the password protected computer, and permanent voicemail, etc. Lauren and Bill were dating for about a year, as time went on Bill began to password protect things, and take Lauren off of friend permissions for Face book. Finally it got to the point where Lauren questioned Bill about it, (she questioned herself, is he cheating?) he immediately became defensive, and an explosive fight followed. They then promptly ended their relationship. Someone who does this to you is not even a friend, and don’t be fooled by the deception. Glenda and Sam had a marvelous relationship, till over a period of several weeks, Sam became a power shower guy, always showering before he came back from work or the gym. She started to wonder, is he cheating? People are creatures of habit, and most would prefer to use their own shower at home. Sam, when confronted, admitted to cheating, and they went ahead with counseling. Astonia and Clarence were in a great, healthy relationship for five years. Towards the fifth year, Clarence had this uncanny knack for wanting to get places waxed he never took an interest in before. When Astonia asked him about the new interest, Clarence had gotten so vague, along with his eyes shifting in a way they had never shifted from him before. 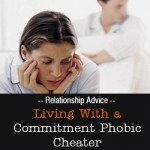 She instinctively knew he was cheating and didn’t stop to think, is he cheating? He felt so guilty, that he ended up admitting to it, as well. At this point they then tried to salvage their relationship. Greg and Sonya had a loving marriage for 14 years. All of a sudden, Greg who is a slob by true nature, starts paying special attention to fashion. He started ironing his clothes, buying new ones, adding special cologne to his attire, acquired a new hair cut, and pedicure. 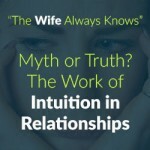 Sonya, of course, asks herself “Is he cheating?” and confronts Greg on this issue. It was discovered, you guessed it; Greg was cheating. Tasha and jack were in a relationship for 7 years. It was then that jack got the seven year itch and decided he could cheat. Soon he started doing something very peculiar, he stopped answering his phone. Tasha, knowing that Jack had never let his phone go to voicemail before first thought, is he cheating? She then asked Jack directly about it. Their relationship did not survive the seven year itch. 57% of men polled stated that they committed the act of cheating in any relationship they obtained in their lifetime. Theresa and Rich were dating. Every time Theresa asked where Rich lived, he would state a specific city, but a general territory, never being specific about where he lived. Soon she started having this idea; is he cheating? Since Rich could never come clean about where he lived, Theresa decided to take matters into her own hands and sell him down the river by telling him goodbye. Steve and Sonja were in their relationship for 3 years. He always went to Sonja’s house, and she never visited his. At first she thought, he will want me to visit over time. When Sonja would ask, Steve was always evasive, and a quick excuse always seemed to follow the careful questioning. 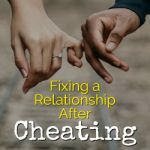 After much time went by Sonja asked herself; is he cheating? Soon after, they were in counseling over his mistake. Claire and Ted were dating for approximately six months. Ted a strange habit of always asking Claire if she would like to meet for a picnic at a local park, or go to her house, never stopping to invite her to his home. After a bit of time, Claire asked more frequently about seeing Ted’s place and how wonderful it must be. Ted, kept being evasive, and made so many excuses, Claire began to question herself, is he cheating? Claire then asked him to pack his bags and leave upon hearing the truth. Cheating is not worth it, and it never will be! Stacy and Craig are in a marriage where Craig travels a lot since he is in Sales. Lately Craig has been stating that he needs to do business away from home for 3-4 consecutive holidays. Well Stacy knows that in the past he never needed business time away before on these holidays and quickly hires a private investigator. She thinks to herself, is he cheating? Upon seeing the report, obtaining a copy of the hotel bills, and gift receipts for items that were certainly never given to her, she confronts Craig. They then wind up on the road to couple’s counseling, and are still seeking counseling currently. Jasmine and Harold have been seeing each other for eight months. During this time frame Harold went from a regular, unblocked number, to a blocked number. Jasmine, knowing Harold always had a regular type of number questioned Harold. At first he was quick to state it was something the phone company did on their own accord. After careful investigation into the matter behind the scenes, she found what he stated to be a lie. When confronting Harold, he did admit to cheating, and she ended up feeling a very strong distrust of him. It took awhile, in counseling, for her to feel like she could ever trust him again. Cheating, no matter how little the frequency, is not worth the hurt or sometimes the very negative result of a break up.